At the law offices of Peter D. Cullotta, Ltd. we have a long history of partnerships with the people and businesses of the Chicago area. Our real estate lawyers use this experience to help our clients in a wide variety of real estate issues for both buyers and sellers. 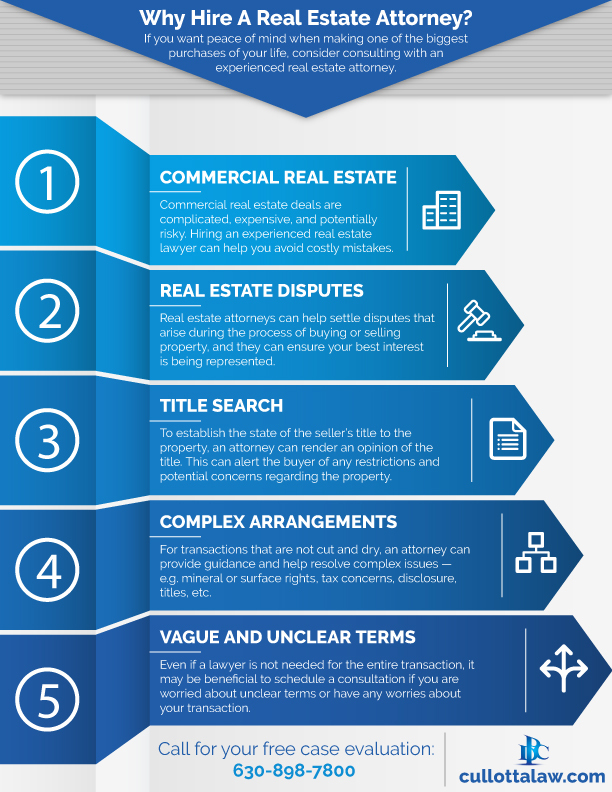 Contact our real estate attorneys today at 630-898-7800 to set up your free initial consultation. The real estate attorneys at Peter D. Cullotta, Ltd. are here to help both buyers and sellers with all their residential real estate needs from drafting and reviewing real estate contracts to finalizing real estate transactions at closing. We work with several local title companies to make any transaction a seamless worry-free process. If someone injured you through their negligence in driving a vehicle, you have rights under the law to seek compensation. Injuries suffered at construction sites can be severe and life altering, and if you have been injured, you should speak with a personal injury attorney. In Illinois, pedestrians have the right of way in crosswalks. Unfortunately, many motorists fail to watch out for pedestrians. If you were injured, contact our experienced injury attorneys. A slip-and-fall case deals with injuries caused by a person tripping or slipping on another person's premises. Fight for the compensation you deserve.